I recently read an article on one of my favorite blogs, Life, the Universe and Lani about her review of what she was doing for her blog and redefining what it was supposed to be for her. Lani’s post has made me start to reevaluate my thoughts about my blog as well. I started this blog as a way to keep in touch with family and friends while Chad, Z, and I traveled the world. Our plan was to travel at least a year (which we did), and in my thinking, I figured it would be easier to tell everyone we left behind on a weekly written basis what we were up to. It is really difficult for me to tell someone what I did yesterday, let alone what the three of us did for a year all over the world. Plus, I have always found that most people’s eyes would start to gloss over as soon as I reached about 5 minutes of conversation about our adventures. I wanted to include the people we love in our travels at the moment that we were having them. It was to keep connected. And Three To Go fulfilled the “keeping in touch” aspect and I started to meet new travelers and bloggers along our way and through my posts here. I started to think that I would make this blog into a business. A travel website that could help others that wanted to travel, particularly with their kid(s), that was my dream. I achieved my dream to a certain extent. I never had a post go viral, but people that needed my advice were able to find it. I never made any money off my blog, but I felt connected to everyone that commented and read my posts. For some time now, I have felt that I have started to lose my love of writing about our adventures in our now expat life in Thailand. I am so busy trying to market and gets followers for And Three To Go that I have no time to really find my voice in my posts. I have lost it. I have become boring, well at least to myself. Writing is becoming a chore. I have come to a decision after reviewing my time and priorities. I want to get back to brass tacks (oh the clichés! Ack!). I want to get back to the enjoyment of just telling about our life. I am scaling back, no more marketing, just connecting. I will still share what we are up to, where we are going, and what I have been eating (YAY FOOD! ), but I have decided that that is ALL I will do. I need to get back to why I started this blog, to share our life with those that care and love us, and to have a creative outlet to process what we are doing. I may start again building my brand and business here on And Three To Go at some point in the future. Maybe when I have found my joy in writing again. Maybe when I am heading to some amazing new place. Or maybe never. I hope I get back there and can find new friends on the interwebs, but until then, I want to concentrate on you and our relationship. Is this not the worst thing that could ever happen? 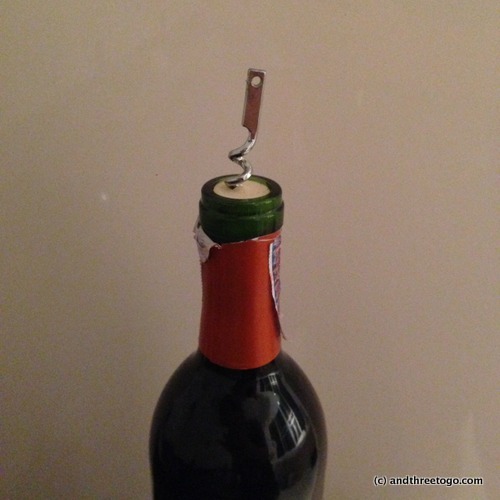 A wonderfully awesome friend gave me a bottle of wine for my birthday and when I went to open it, my corkscrew broke. I could have really used a glass of wine to deal with the disappointment of having to wait for my glass of wine. 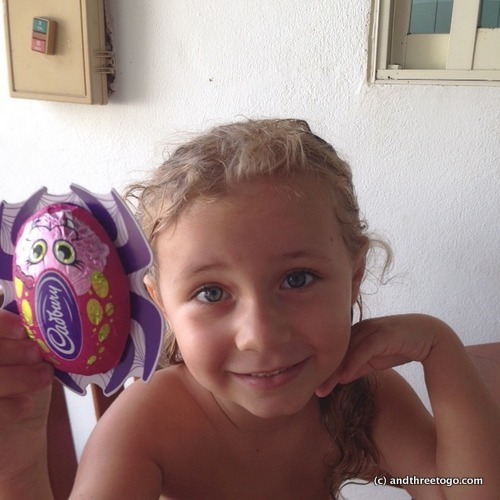 Z and I started our Halloween celebrations off with Cadbury chocolate! Z (with her cool sunglasses) and a giant bear at the Tesco Lotus near our house. I absolutely love the flowers here. So many colors and aromas! 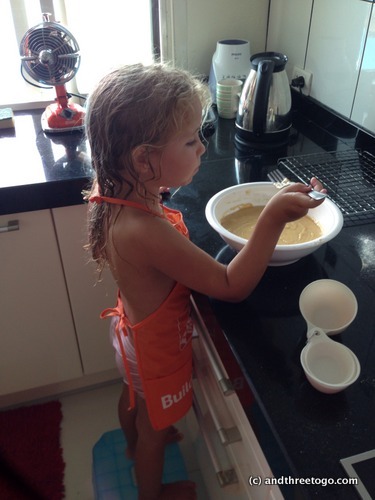 Baking cookies (that turned out like pancakes for some reason) in between swimming sessions in the pool. Good for you. Being true to you is the way to go. Thanks for not giving up on it. I read and enjoy all and love your pictures even if I don’t comment each time. Happy Belated Birthday and so glad you are feeling better now. I’m really glad you’re going to continue writing about your life – that’s what I like best! I still want the peeps back home to know what we are up to, so deleting completely isn’t in the cards for me (fingers crossed). I do find that writing about we are up to helps me process what we are doing as well. So really if I am enjoying it and others are enjoying reading, And Three To Go will continue. 🙂 thanks for stopping by again and for commenting! I love seeing what you three are up two and how you’re taking the road less traveled. Not many people just up and travel the world! It’s inspiring to see your faith and your commitment to living your life your way and not settling for status quo. I love keeping in touch with you through this blog and seeing what you guys are up too! Im also seeing Z grow up through pics (itd be better in person but ill take what i can get?) seriously she looks so grown up in the cadbury picture! So pretty! I LOVE your blog, and not just because you’re my daughter. It makes me laugh, it teaches me much about the world, and helps me to grow as a human being. That being said I am also very happy that you are doing what you need to do to not totally burn out. Hopefully that love for blogging will return but in the meantime you can try other things that nourish your creativity. The photo of your Chameleon pose cracked me up! Like you the flowers and greenery are one of my very most favorite things anywhere, but especially in a tropical area. The ones you photographed are beautiful. I have heard that you have to adjust ingredients for certain elevations; I wonder if you are at that elevation or perhaps climate? Hmmm? I’m glad you will continue to post and still will look forward to traveling vicariously through you three! I haven’t thought of the elevation thing, though I think the fact that I lazily melted the butter completely before using it in the recipe (I need a mixer apparently) is the reason for the crepe cookies lol. Lani recently posted…Has living overseas + travel made you more patient? I’m glad you found a connection with the post, Jenny. Sometimes I really hem and haw over personal posts like that which might seem strange, but I try to keep my blog from being too “dear diary” – but maybe not, maybe I should do more of that? I like that personal quality in many other blogs, including yours. Sheesh. What’s a girl to do? But most of all, I’m glad you are going to take a step back and focus on your loves 🙂 I think we all need to remember to do that from time to time. Personal posts are always my favorites to read and write. Do what you love, write what you will. Thanks Jay, that’s exactly what I plan on doing 😉 thanks for reading and commenting! Firstly, “Z” is growing up into a really lovely pretty girl who will make you proud. Well done! Secondly, a corkscrew broken into a precious good bottle of wine. Aaaaah! Thirdly, there’s nothing wrong with evaluating your values. 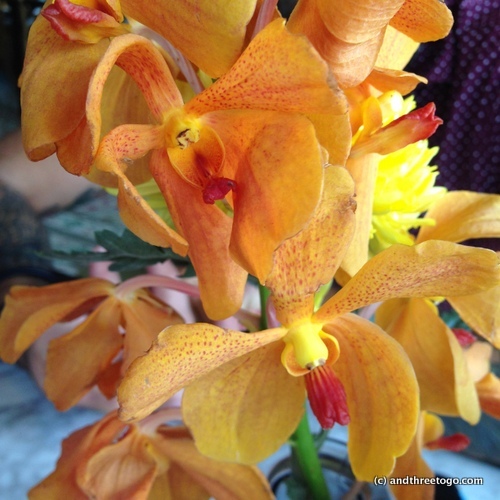 I love reading your blog about living in Thailand as a family. It’s great reading and you’ve got a really nice, strong voice. The important thing is to keep it “your voice” and not what you think people want to read. We like reading YOU because you write about what’s interesting to you – your life in Thailand, your home, your child, your hubby, your mum, the perils of shopping with larger feet, the shock of strange festivals, even the mundane stuff is of interest. Because it’s different. Also, if posting too often is beginning to get on your nelly then post less. It certaintly, didn’t do me any harm…lol! Victoria@ The British Berliner recently posted…48 hours in Bristol – 48 things to do!